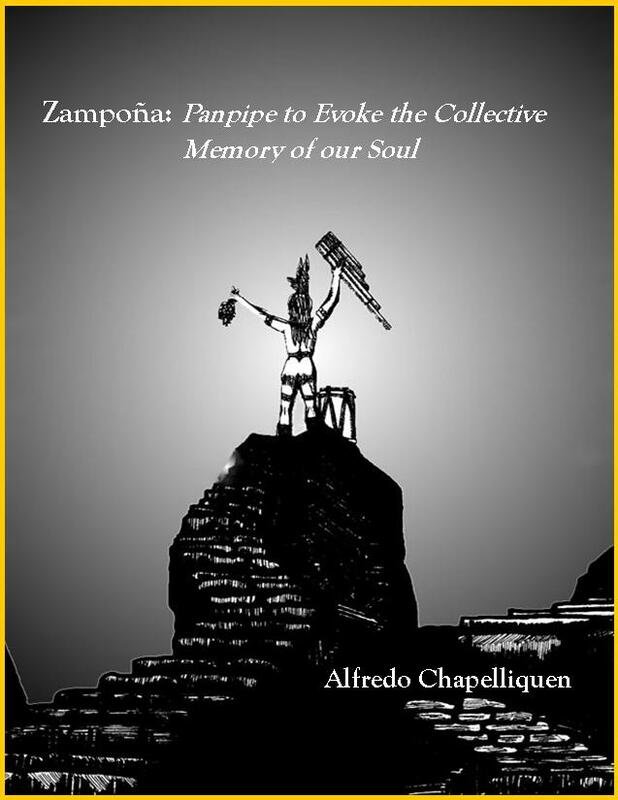 Panpipe Book: "Zampoña: Panpipe to Evoke the Collective Memory of our Soul"
The Following Page is a sample of our book about the Zampoña panpipes. In it you will find the history of these Andean panpipes as well as very detailed instructions on how to make, and learn how to play the Andean Zampoña panpipes. "Zampoña: Panpipe to Evoke the Collective Memory of our Soul"
to give meaning to its destiny. intellectualized, it needs to be felt! up with my crazy schedules, my music and my staying up so late at night. the inhabitants of the Altiplano or high plateaus of the Andes (exception made that you are actually reading the book while they would not have). the social environment that encompasses them. After all, for many years I have had the impression that panpipes were the proto instrument. bamboo plants while hearing the soothing sound of the wind blowing on the top of their stems as the plants curve under their own weight. regions, each consisting of a collection of two separate groups of thin walled bamboo tubes strapped together into two rows with a cross-beam. provenance. Some of the above named panpipes are single rowed such as the Antara, the Rondador and the Paya. environment, the sense of community is absolutely integral to the concept of survival. panpipes made out of wood, PVC pipe and even copper pipe and glass tubes. reminded Europeans of the “Symphony” orchestras that they were accustomed to hearing back in Europe. and an exponent of its advanced civilization especially considering that the great majority of folk musics serve roles other than that of entertainment. an indispensable sound/timbre in the realms of World and Jazz influenced music, television and movie soundtracks. the creation of newer musical forms. The earliest expressions of musical culture on the South American continent were recreations of the natural aboriginal environment. by the nations inhabiting the Andean regions. times in the Americas, spanning from southern Colombia in the north through Ecuador, Peru, Bolivia and Northern Chile in the south and Brasil in the east. most varied and sophisticatedly developed music of the whole Americas. Their melodies tended to be monadic and they would play them in antiphony. about their traditions. Important events were turned into verse by the poets and Haravecs (Inventors) in order to be sung at festivals or after victory. and instruments came about only in historical preparation to the encounter of two very different worlds. most important language of the Andes, a word to designate the concept of music did not exist. African slaves forced from West Africa by the Spanish and Portuguese, contributed immensely to the culture, religion and music of the Americas. recalled from West Africa. These hybrid musical forms can still be discerned today. expressive like the passionate strive of their cultural survival. Muchachita flor de cactus, pedacito de mi corazón (twice). Tu vas tejiendo aquel romance de nuestro cariño (twice). Flor de cactus illusion de amores, flor hermosa, illusion de amores. Repeat the whole song once.